Over the past 6 years, Elizabeth has had the greatest pleasure in performing Unique One Woman Cabaret Shows in Paris, London and New York City. 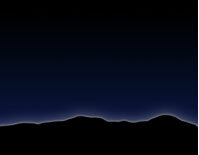 ShowreelElizabethLecoanet - click your "back" button after viewing. The above show was at the Laurie Beechman Theare in NYC, and in London in 2008. It is a 50mins show with French pianist Lionel Cloarec on “L’histoire de Liz, Lionel and Babar le petit elephant” The 50mins show combines the crossover vocal styles from French opertta to French early cabaret (songs of Yvonne Printemps for example), with modern Broadway showtunes, all woven together with the classical performance of extracts from Francis Polenc’s piano work, “L’histoire de Babar” (which Lionel plays beautifully!). This show is now on its way to Sydney with certain environmental adaptations.The show is in English and French. 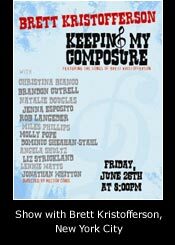 Elizabeth also had the pleasure and honor of working with Brett Kristofferon (2010 songwriter of the year Mac Awards NYC) performing in his music with him on piano at the Laurie Beechman Theatre, New York City. 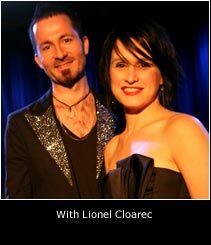 Elizabeth has also done several solo cabaret shows in Paris with Lionel Cloarec on piano. Palais Royal, Gallery Joyce “Just for Fun” and Salles des Chanteurs a St.Eustache Les Halles ("An evening of Cole Porter how he would have done it in Paris"). She has also performed a one woman show based on the songs of Jospehine Baker at the prestigous Salon D’honneur at Invalides, Paris. 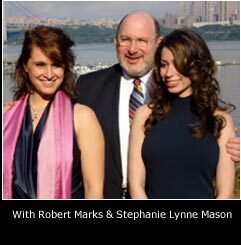 Elizabeth has also performed at various charity functions in New York with Robert Marks at the piano. 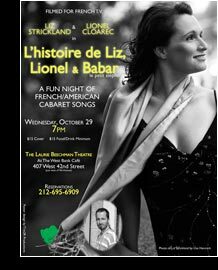 Elizabeth and Lionel were also were invited and played their NY cabaret show “L’histore de Liz, Lionel and Babar le petit Elephant” in London.